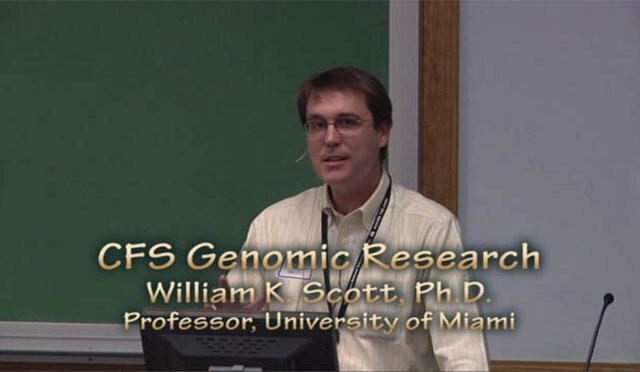 William K. Scott, Ph.D. of the University of Miami discusses genomics research on ME/CFS. Learn, how it works, what they are finding and what the future holds for those afflicted with ME/CFS. To view the largest single collection of videos on ME/CFS by medical experts and patients, please visit us at ME-CFSKnowledgeCenter.com. To participate in live video chat, instant messaging, forums and blogs with ME/CFS patients and medical experts from around the world join us at ME-CFSCommunity.com. Dr. Nancy Klimas, M.D. of the University of Miami Miller School of Medicine, discusses the latest clinical advances on ME/CFS. The lecture was delivered May 8th, 2010. 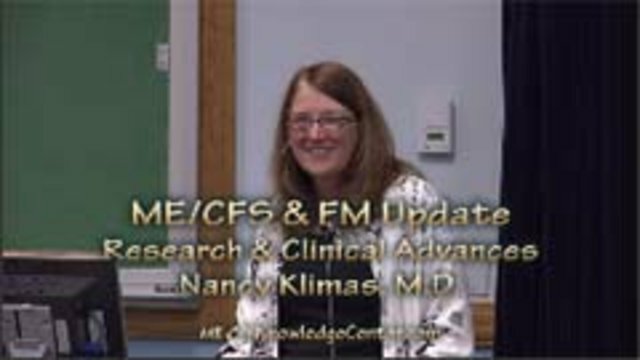 To view the largest single collection of videos on ME/CFS by medical experts and patients, please visit us at cfsKnowledgeCenter.com. To participate in live video chat, instant messaging, forums and blogs with ME/CFS patients and medical experts from around the world join us at ME-CFSCommunity.com.